Eroica has defined high-end American Riesling with its sophisticated, off-dry Washington style for nearly two decades. The mouth-watering acidity is beautifully balanced by flavorful Washington Riesling fruit. The bright, natural acidity of our original Eroica with concentrated, ripe fruit flavors and a touch of sweetness. 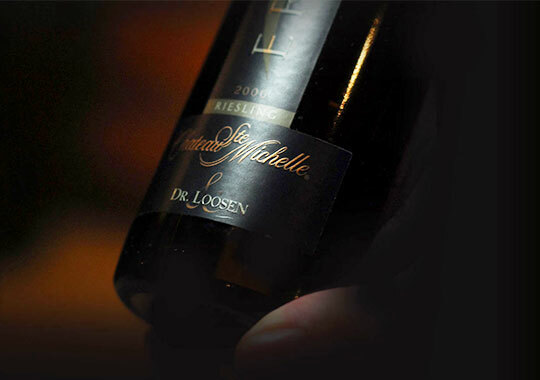 An ultra rich, concentrated yet elegant wine with intense aromas of orange blossom, honey and sweet spice. An exotic, luscious, ultra ripe wine with concentrated aromas and flavors of apricot and honey. The aging potential of Riesling only adds to the grace and style of the wine. Many surpass the ageability of other varietals. Naturally low pH and high acidity are balancing factors essential to aging. Riesling is one of the few grapes capable of producing a complete spectrum of wine styles, from bone dry to decadently sweet. Riesling is considered by many wine experts to be the most noble and rare white grape variety in the world. Great Riesling has mouthwatering acidity, and pure, concentrated fruit flavors. Its crisp, refreshing structure is balanced by ripe flavors of peaches, apricots, melons, and often a vibrant mineral quality, which many describe as the taste of water running over stones in a mountain stream. 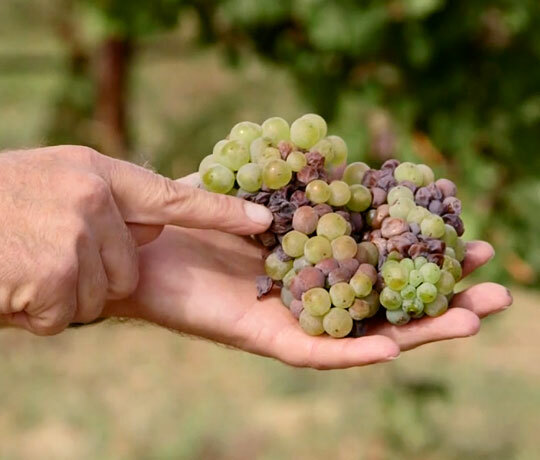 Often referred to as Noble Rot, a beneficial fungus called Botrytis Cinerea is necessary to produce many of the world's great sweet wines. When the degree of humidity is just right, Botrytis Cinerea will attack grapes, covering them with a gray mold. The mold lives by penetrating the grapes' skins and using the available water in the juice. This concetrates the sugar, flavor, and acid so that a complex wine of exceptional sweetness can be made – Eroica Single Berry Select is made in the decadent style.